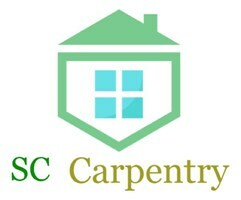 SC Carpentry - Carpenter based in Norwich, Norfolk. At SC Carpentry we cover all aspects of carpentry from first fix to finish. With 14 years of experience between the partnership of Jack and James. We pride ourselves on our craftsmanship and customer service as well as our attention to details. We offer a wide variation of services here at SC carpentry starting from manufacturing bespoke wardrobes and cupboards to new floors and cladding. We also carry out full house renovations whether that be a full kitchen refurbishment from start to finish or kitchen upgrades. We work very closely alongside our customers so make sure all needs and expectations are met and executed at the highest standard. Another area we specialise in is heritage windows and doors, from sash windows to casements. We can install double glazing into the existing frames on windows that you would never imagine being able to have the modern benefits of double glazing, yet still in keeping with the original period features of the building. We also carry out draught proofing, minor or major repairs and can manufacture like for like replacements. We carry out many other services beyond the ones that have been listed, so please give us a call today to book in a no obligation quote or to ask any questions. We are more than happy to help!